Want to add a stripe of color to your polypro tights? Double Speed stripes mean twice the speed. Buy these and go faster! Made out of Polypro, a mid-weight strong yet supple fabric, these tights are constructed of the highest quality Microfiber and boast famous durability. With a variety of stripe colors, they look cool, too! 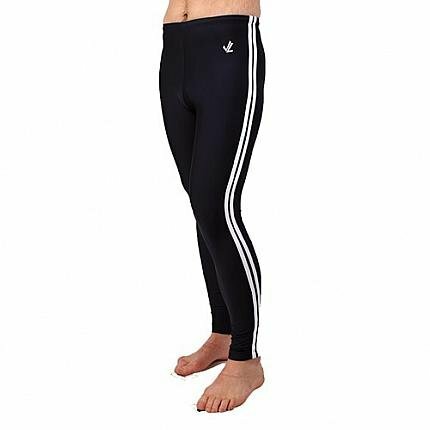 These tights are UNISEX; great for men and women! JL Tights are designed for the rowing motion, with a high back and stretch down the length of the leg. A long inseam, sew-in elastic with a drawstring, and reinforced seams make this garment both comfortable and durable.